Grapefruit, a citrus fruit, provides a low-calorie snack when you're watching your weight, and its tangy taste makes it a favorite for fruit lovers. This fruit comes in white or pink varieties. One serving of Half Grapefruit is reported to have 52 Calories, according to the nutrition facts provided by livestrong.com. One-half of a large grapefruit contains 53 calories, according to the U.S. Department of Agriculture National Nutrient Database. The U.S. Food and Drug Administration notes that the average diet is based on 2,000 calories per day and warns that eating too many calories may lead to obesity. Half of a large grapefruit contains 57.1 mg of vitamin C, a nutrient that plays a critical role in forming collagen and repairing your body's tissues, according to MedlinePlus. This serving also provides 17 mcg of folate, 916 mcg of beta-carotene, 1,539 IU of vitamin A and 1,884 mcg of lycopene, according to the USDA database. Grapefruit is a rich source of potassium and calcium. The National Nutrient Database reports that half of a grapefruit contains 20 mg of calcium and 231 mg of potassium. It also contains smaller amounts of iron, magnesium, phosphorus and fluoride. Can Grapefruit Help You Lose Weight? 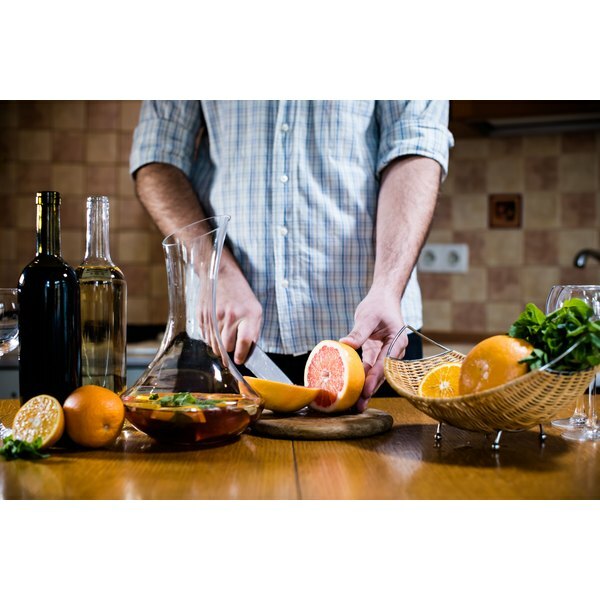 Can Grapefruit Juice Be Drunk if You Are Taking Thyroid Medicine?